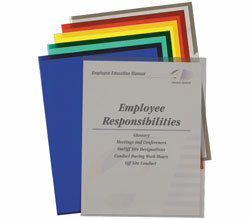 Great for use by themselves or with binding bars (sold separately). Use as report covers or to separate and identify other important information in your files or on your desktop. Clear covers only. Economy Vinyl. For 8-1/2 x 11 materials. 100/BX.